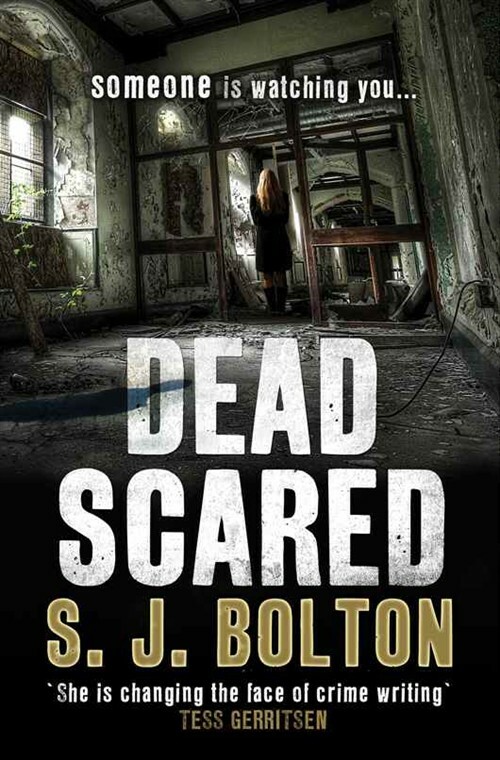 Dead Scared was my third novel by S.J. Bolton. It’s the second novel featuring Lacey Flint and DI Mark Joesbury. I liked Sacrifice and Now You See Me a lot, but I really loved Dead Scared. I think it’s one of my all-time favourite crime novels. It’s got everything I like in a plot-driven crime novel. 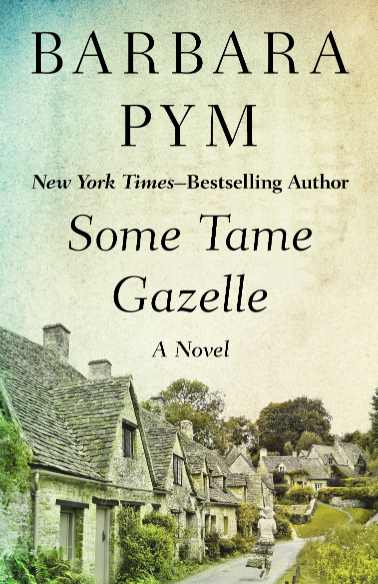 Great setting, evocative atmosphere, appealing characters, a well-paced plot and a really great story. For once she didn’t even stretch believability all that much. Evi Oliver is a student counsellor at the university of Cambridge. She has contacted the police because she is alarmed that so many female students commit suicide. Maybe there is an internet community or a group that drives them to take their own lives? The police don’t know what to make of this and decide to send an undercover agent who will pretend to be a vulnerable young student. Lacey Flint seems the right choice. Nobody but Evi knows her identity and even Evi doesn’t know her name. What is striking in this series of suicides is that the young women choose very violent forms, which are not typically chosen by women. Just when Lacey arrives another woman has tried to take her life. She set herself on fire but could be saved. She has been severely burned and it’s not sure she will survive. As soon as Lacey moves into her room, she starts to feel weird. It does make her nervous to pretend to be a young student and the many suicides are quite creepy. Additionally she’s targeted right away and becomes the victim of a rather sinister student prank. The fact that she doesn’t sleep well, has peculiar nightmares and wakes feeling groggy doesn’t help either. After some investigations, Lacey concludes that Evi isn’t imagining things. It’s even possible that there is no online community but that there is something much more threatening at work. When Evi is suddenly being stalked it becomes obvious that the situation is very dangerous for the two women. Dead Scared is set in the university milieu of Cambridge and the way Bolton described the city is very evocative, giving the book traits that could have been taken from a Gothic novel. As readers know from the first Lacey Flint/DI Joesbury book, Lacey isn’t exactly who she seems to be. She’s tough but due to a troubled past also very fragile. The relationship between Lacey and Joesbury intensifies in this book and is even more important than in the first. The idea behind the crimes is really great and I wondered the whole time what was going on. I had a feeling but still kept on turning pages as quickly as I could. I had barely finished the book when I already ordered the next in the Lacey Flint series. I’m pretty sure it’s not one of those books that will stay on the unread books pile for long. Like the sound of this and I *love* books with university settings – thanks for the heads up! I thought it was very well done and the setting is so well chosen. I hope you will like it. Wonderful review, Caroline! The story looks quite interesting and after reading your thoughts, I am quite intrigued by what the central mystery is. If it is one of your alltime favourite crime novels – well, I have to definitely give it a try then. Thanks, Vishy. I just loved it. There’s only oone other plot-drive “who done it” crime novel I liked as much and that was Minette Walter’s The Ice House. I also liked that they both have some romance in it. I like that in a crime novel. I hope you’ll like it as well should you read it. I’ve read that years ago. Minette Walters is a great crime writer but that one was really something. Because of the love story as well. This is an author I’ve been meaning to read but have yet to do so. Sounds to me like this is the book I want to begin with. I couldn’t resist the Cambridge setting, apart from anything else! I thought of ou while reading it. I’d definitely be interested to know what you think of it. it’s by far her most realistic novel. I thought she managed to capture the magic and dysfunction and pressure of such a old traditional place quite well. Sounds wonderful, Caroline. Do you recommend reading her books in order? I’ve also heard great things about Minette Walters’ Ice House, so it’s going on the pile too. I don’t think you have to read in order but you’ll be tempted to read the first if you like this, so it’s more logical but not necessary. I’ve read a few of Minette Walters’ books but none was as good as the Ice House. I still remember details after almost ten years. I even want to read it again at some point. I just saw slywit’s comment and she thinks it’s not ideal to read them out of order. I think you can, but as I wrote in answer to her, I was glad I didn’t. Plus Now You See Me has the Jack the Ripper angle which was great too. I do prefer to read a series in order because authors often give backstory that adds to the character development. Glad to have the heads-up. Oh, that is a ringing endorsement for The Ice House. May have to move it up in the queue. If you like Bolton’s writing you’d end up reading the anyway and the sries is still newish – three volumes so far. Cathcing up is easy. I’m really curious to hear how you will like The Ice House. I read this book last week and enjoyed it, too. I especially loved the setting, Cambridge. Glad to hear you liked it too. I can hardly wait to visit Cambridge again. They way she wrote about it was so well done. I’m up to the next one in this series now, though I see it is about children, which can be a tricky area to do unexploitatively: but I trust Bolton, so I expect it will be very good. I should get it any day now. I wasn’t aware it was about children. 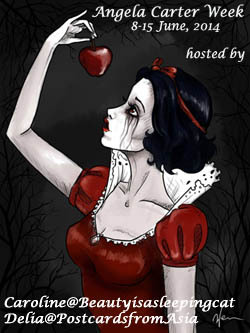 There is also a 90page e-book only Lacey Flint story available. Did you read that? This was one of her better books, wasn’t it (though I have liked all of her books that I’ve read, too). You will have to read Blood Harvest (it does have a rather ‘spectacular’ ending–maybe a little stretch but still very good) as Evi appears in that story, too (she is one of the main characters), though it is not a Lacey Flint novel. After you mentioned you had been reading this, I requested Lost (Like This, Forever–in the UK–I think) from the library and now it sits on my reading pile. I have been quite greedy about books lately–what Carl has described as “I can’t seem to stop starting books!!”. However, hers always read very quickly as they are hard to put down. You will know then she has a new one coming out this summer (at least summer in the US –maybe sooner in the UK?). I liked this one best of the three I’ve read. I will read Blood Harvest as well. I would have read it first if I had know it was an “Evi prequel”. She’s a great charcater too. I have to hold back not to start too many books, but I can understand you. Her books are super quick reads. I’m not sure about the new one now, maybe I have seen it. She calls herself Sarah Bolton meanwhile. I wonder if she has decided to use her full name as SJ Watson’s Before I Go to Sleep was hugely popular also and the names are so similar–I think man people were switching the two. I have to pay careful attention too to what I have started and what I am thinking of starting–it is so tempting to begin new books but then I can’t seem to finish anything–it’s all overwhelming with so many books I want to read–and not (ever!) enough time to read them in. Don’t tell me. I looked at my unfinished non-fiction pile today and it was discouraging. I noticed that many female crime writers use initials. It’s a marketing thing as it’s more likely men will pick it up when it’s not entirely clear whether or not the writer is a man or a woman. So maybe she changed because she was mixed up. I’ve now read all three in this series and have enjoyed all of them. All very different types of plots and twists. The only thing I don’t love is not giving context or review for the reader about action in previous volumes. I can’t imagine what is lost for someone that reads them out of order. I’m glad to hear that you liked the third one as well. I was thinking about that aspect and thought that it’s always a dilemma for a writer of series. When you repeat too much you bore those who read chronologically and if you don’t write enough the others might feel lost. I think it’s possible to read them out of order but I was glad I didn’t. I think it is harder with Lost, where a character from the first book appears on multiple occasions but is never really introduced. Dead Scared doesn’t have too much overlap in the characters; Lost does. When reading Lost, I found myself wishing I had read the first two volumes more recently. Ok, thanks for that. I hope others see your comment. It sounds like this is a very character driven series. One thing that sounds really good about this book is that on top of the character the premise is very appealing. Though it is of course morbid, the idea of serial suicides, even if they are really murders, is a very interesting one. I thought it was a brilliant idea and you really keep on reading just to find out how such a thing is possible. And the characters are well rounded. Isn’t it great when you read a really good crime novel? I haven’t read anything by this author yet but my crime backlog is so vast, I hesitate to buy another book. It really is. I understand that you don’t want to buy more crime novels but I could imagine, since you like Nicci French, you’d like this one as well. Her first books are a bit different but this Lacey Flint series is really good. I’m so glad to hear you enjoyed this book. I’ve wanted to read this one, heard from others it was very good, but hadn’t had the “push” to follow through. I’m on the TBR Triple Dog Dare at the moment, but as soon as I’m done in late March, it’s on my list. Triple Dog Dare! Good for you. I hope you will like it. I thought it was fantastic. I’m pretty sure you’ll enjoy the setting as well. Can you read this book without reading the first ones? I like the sound of that plot and the setting. I think you can, if it doesn’t bother you that past elemnst are mentioned. They are not important for understanding or enjoying the book, I’d say. I think I would enjoy this one! Yes, I think you would. 🙂 It’s well-done and gripping. You have made me curious now. I love a good crime story. Too bad I hardly have time to read now…I am still reading but at very slow pace. I think you’d like this one very much. It has an intriguing plot and great characters. Too bad indeed. Don’t you miss reading more? Oh yes!! I do miss it! In a way it’s good that you don’t have to commute but then again – if that was reading time. Good for you. Hope things will be more quiet in the future.